needs to scream quality and reflect not only your company, but also the culture, and it’s purpose. In a sense, your promotional product has to be something that your employees actually want to wear or use and be proud of it! These days, you can go on any eCommerce site that specializes in customizing a certain product, but you have to be careful. Most of these kinds of services offer cheap products that don’t last long. As a corporate sponsor, you want to make sure that the kind of product you’re promoting is more than just your logo and tagline on budget products. You really want to be a trusted brand in your clients and future client’s household so they’ll buy your products and/or services without any skepticism. But in order to do that, you have to introduce your company to the world with a quality product. You may already know that there’s no one formula to success, and there is no one way to ensuring that your brand name is going to catch like fire. However, you can certainly do your part in helping it along! 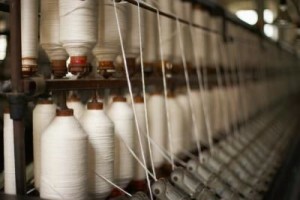 One way you can make a big impact in promoting your corporate brand is by manufacturing your own product! Instead of choosing a random product and slapping a label on it, the Organic Apparel USA company offers you the opportunity to manufacture your own promotional cotton tote bag where our skilled craftsmen will embroider your company label onto it. With this option, you’ll be promoting your corporate brand in a most unique way. Check out some of the bags we’ve created. Whether it’s for carrying additional files or to gift as a holiday, anniversary, or birthday present, your employees will appreciate the quality of Organic Apparel USA tote bags made of 100% cotton from Ecolusive. These natural colored totes come in a set of five and is designed with an inside pocket and an additional zipper pouch. Each set can be manufactured in any size and dimension of your choosing. Of course, the size of your custom cotton tote bag will alter the price. So it’s best to speak to an official Organic Apparel USA customer service representative to discuss the specifics of your personalized promotional corporate tote bag. In addition to manufacturing the bag to your specifications, Organic Apparel USA can also embroider your logo into our premium fabric giving your corporate tote a regal look that instantly upgrades it from other bags in the market. With your personalized logo and Organic Apparel USA quality manufacturing, you’ll have a brand that not only your employees will be proud to wear, but quite possibly the public as well! Promote Sustainability of the Environment! Organic Apparel USA Ecolusive corporate tote bags are eco-friendly. Take pride in knowing that your personalized Ecolusive corporate tote bag will be designed with 33% less ink than what other manufacturers use. 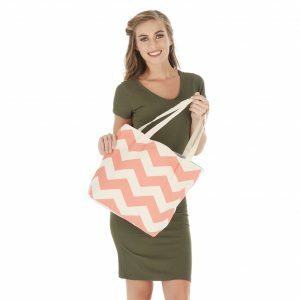 No harmful chemicals will be used when designing your corporate promotional tote, and furthermore, these bags are machine washable, but we recommend that you hang to dry. Contact a Organic Apparel USA representative today about ordering your bulk order of corporate cotton tote bags. If you’re ready to order, request a quote and we’ll get back to you as soon as possible. We look forward to promoting your corporate brand today!